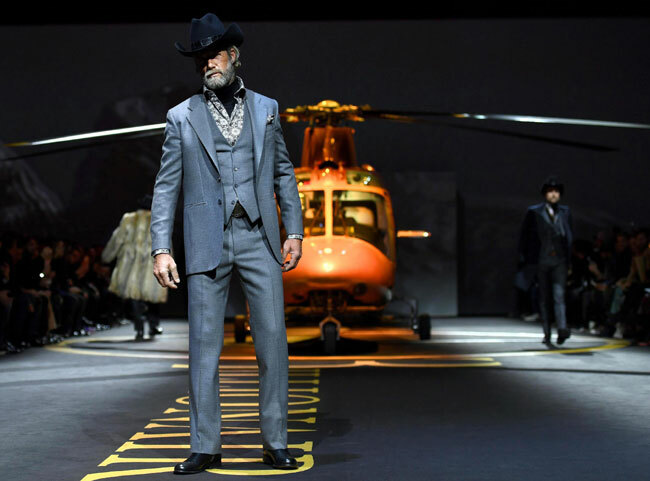 Giorgio Armani showed his collection and the suits he presented were classic and stylish, with clear silhouettes and suitable for formal occasions. He combined the suits with big scarves, which finished the outfits and made the look of the suits more casual. 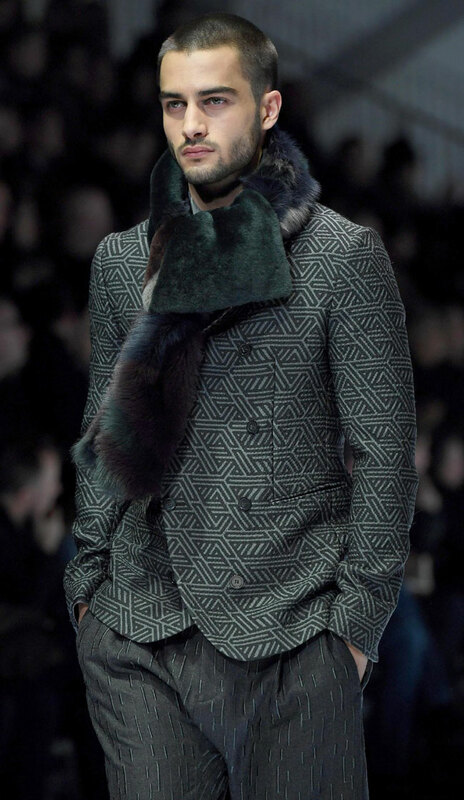 The Italian label Billionaire also presented their collection. Most of the suits were three piece in grey shades. 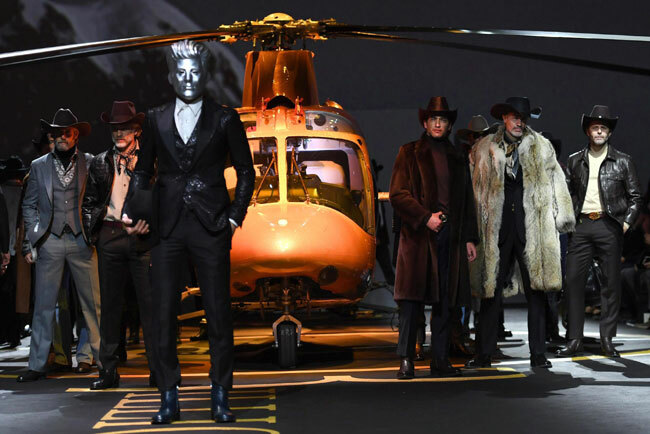 The fashion show of the brand was in the cowboy theme. 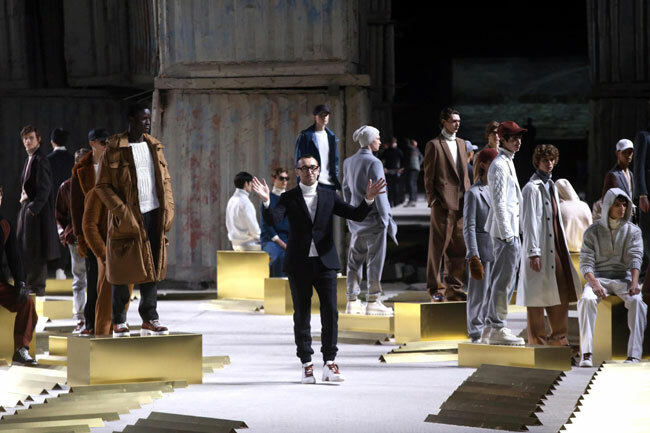 Prada surprised the audience with presentation of the men's collection from women. 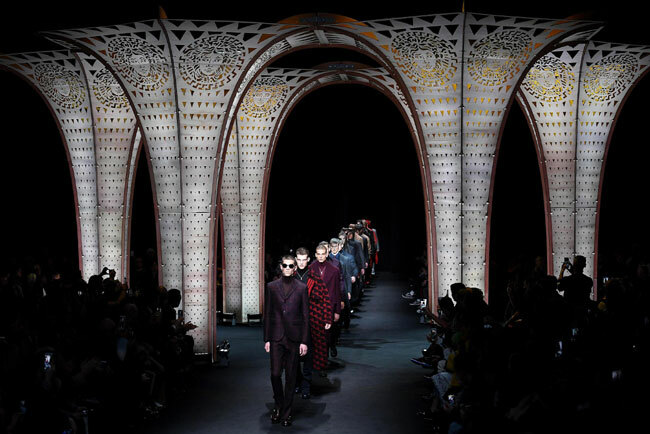 Nowadays, it is a common practice for the designers - they want to unite the fashion and make the clothes unisex. The label bet on the combination of jacket and trousers that are in the same colour and style. 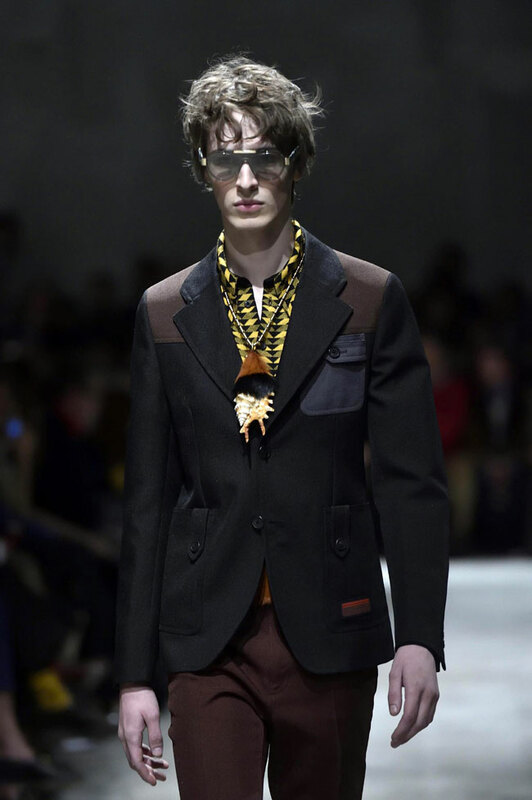 Versace presented autumn/winter suits and overcoats in strong formal style. The suits were in blue and grey shades and the silhouettes were clean. The coats were over the knee and perfectly matched with the suits. Dolce and Gabbana continue their line of suits with floral motifs. The garments were shiny and spectacular. 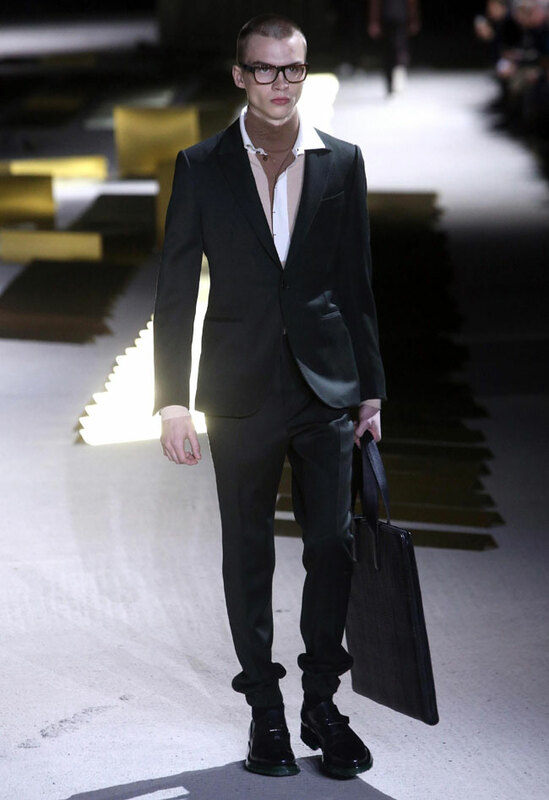 The brand also showed the classic - black tuxedos and suits, combined with white shirts and bow ties. 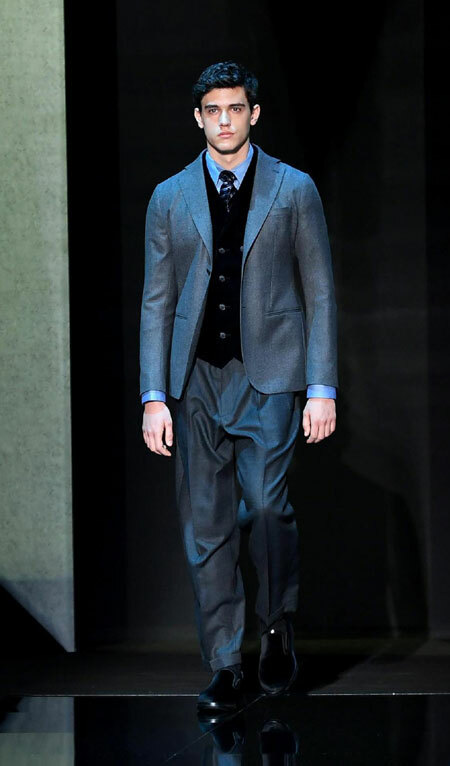 Emporio Armani and his creations were a combination between casual and formal wear. The designer showed some outfits that contained jacket and trousers with different prints. The suits were double breasted and most of them were in the grey colour palette. 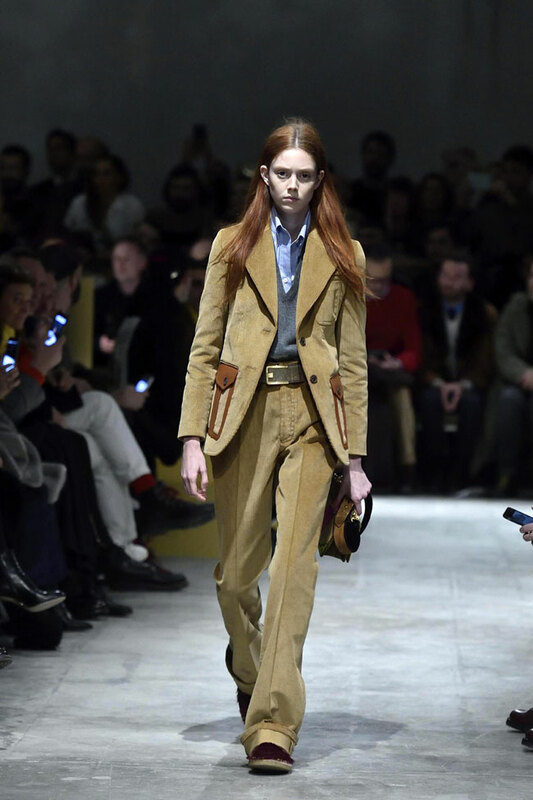 The Italian brand Ermenegildo Zegna showed a wide variety of winter clothes and the suits were clean and stylish, combined with trench coats. The collection was decided in brown, cream and grey. Later, we will show you the full collection of the designers, so you will be prepared for the next winter - trendy and stylish.